Come and celebrate New Year's in Montreal this December 28th - January 2nd. 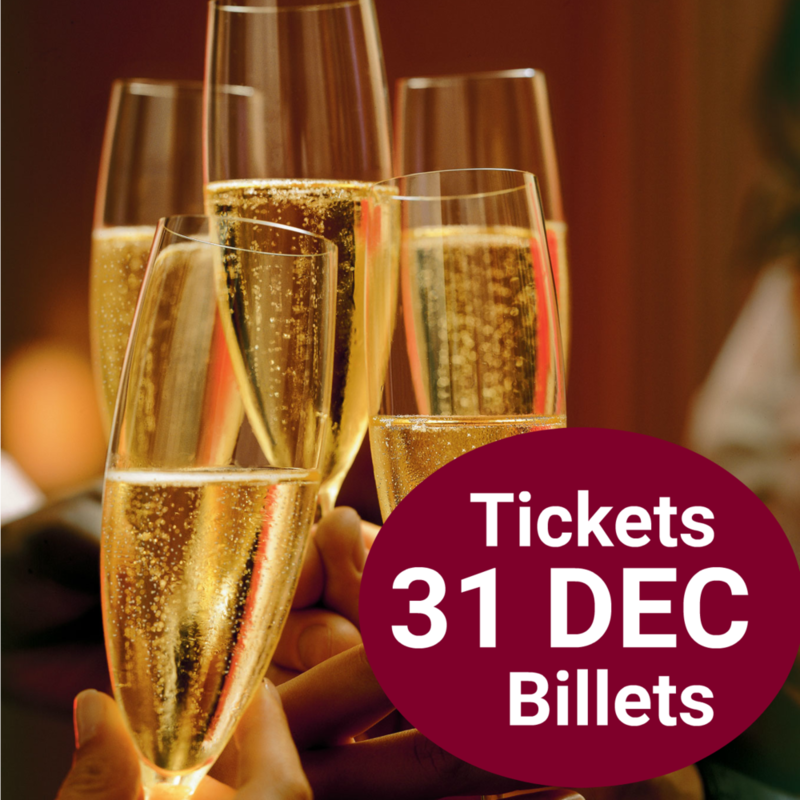 invite you to ''la Fête 2019 '' for some tango fun, parties, friends and a bit of bubbly as well! including Milton ''El Gallo'' Azevedo, Berenice Gonsen, Francis ''Pancho'' Cloutier, Pame Bravo, Carol Horowitz, Rahul Padmanabhan, Xavier Vanier & more. As last year (and the year before and the year before that), we'll be offering a collection of affordable afternoon and evening milongas held in our beautiful adjoining rooms, including a spectacular all-nighter for New Year's Eve. Come to everything, or pick and choose on a pay per milonga basis. Friday, December 28th - Wednesday, January 2nd. NEW This Year - Save 20$ and buy a pass for 5 milongas (Saturday night through Wednesday night INCLUDING New Year’s Eve). Note that this pass does not include the Friday night milonga. We have an alcohol permit for all of our LaFete activities ! A large selection of wine, beer, spirits & non alcoholic drinks will be available at the bar at each milonga until 3am. Please note that it is illegal to consume any alcohol not bought on the premises. Friends, great music, full bar . . . The pass includes all milongas Saturday night through Wednesday night INCLUDING New Year’s Eve but does not include the Friday night milonga held at the PaLaGuardia location. all dressed up in style ! Cake and chocolates will be served! A Beautiful Afternoon milonga in our room with splendid views of the Park! Coffee and cookies on the house! 9:00 pm until the wee hours! * Please bring food to share. Anything really! Leftovers from your holiday dinners, bread, cheese, pâté, desert - we’ll have a feast! Planning to start ''fête-ing'' early? Studio Tango Montréal and Tango Social Club share space at 7755 boul. St-Laurent in the up and coming Villeray district. The space includes two large studios, each with a very distinctive style plus a smaller studio which is used mainly for private classes and small rehearsals. What's truly wonderful, is that it's even possible to open up a passageway between the two larger spaces so that both studios can be used simultaneously during a milonga, upping the capacity to well over 300. Villeray : Village feel, family-oriented, full of artists' and craftmen's studios and hipster cafes. Montreal has quite a few schools that teach exclusively argentine tango. All the milongas you will go to during New Year's are held in local tango studios which transform their spaces into milongas one night (or more) each week. Montrealers like to go out, (in fact it is literally possible to dance tango every single night of the year in Montreal). “Atmosphere” is omni important here. All our milongas (big and small) have a “club feel” (nice lighting, candles, tables & chairs, bars *), great dance floors, DJ’s who know their tango music and excellent sound systems. * N.B: Every milonga in Montreal has a bar at which you can buy drinks (some sell alcohol) and at which you should tip the bar person (15% +). It is not cool to bring your own beverages and it is illegal to bring in your own alcoholic drinks. Last call for alcohol is at 3 am, but many milongas that stay open later will continue to sell non-alcoholic beverages until closing. Generally no food is sold, nor are any snacks provided unless otherwise mentioned. ** We have a liquor permit for the LaFete activities: Beer, wine, mousseux, & spirits as well as various non-alcoholic drinks will be for sale at the bar. A glass of mousseux will be offered to everyone at midnight. In Montreal anything goes fashion wise, but it should be noted that in general Montrealers tend to dress up a bit more than in some other cities and of course, New Year's Eve brings out the party dresses, so be prepared for a bit of sparkle! The cabaceo is not used by everyone here. Many just go over and invite. In Montreal it is not unheard of for women to invite men, although perhaps not done frequently between complete strangers. Hint for people coming alone: Try and hang out near the bar or by the water cooler. In most milongas it is the best area of the room for mingling. The milongas are less crowded towards the beginning and ends of each evening. Arriving early when there are less people can often help facilitate mixing and meeting new people. The DJ’s will play music divided into tandas. As far as the music goes, Montreal is a pretty traditional tango community and the music played is generally from the late 30’s to early 50’s, though some of the dj's might pop a bit of alternative into their playlists. Montreal’s tango roots are firmly established in the “salon style”. Most of the local teachers (the majority who have been teaching for over 10 years) were strongly influenced by the maestros who gave workshops here in the 90’s: Pepito, Esteban Moreno, Pablo Veron for example. And our local teachers have for the most part, passed on variations of this style to their students. Meaning there aren’t really divided camps of close and open frame dancers here. Most of us tend to dance in a closer type frame, (especially when the room is crowded) and move fluidly between close and open during any given dance. Also, there isn’t really a division here as far as traditional and new dance styles go, but common sense is expected on a crowded dance floor.